Clean agent fire suppression systems fight fires with gases instead of water. They are a dynamic substitute to most fire protection agents and vastly minimize residual damage to delicate property and assets. 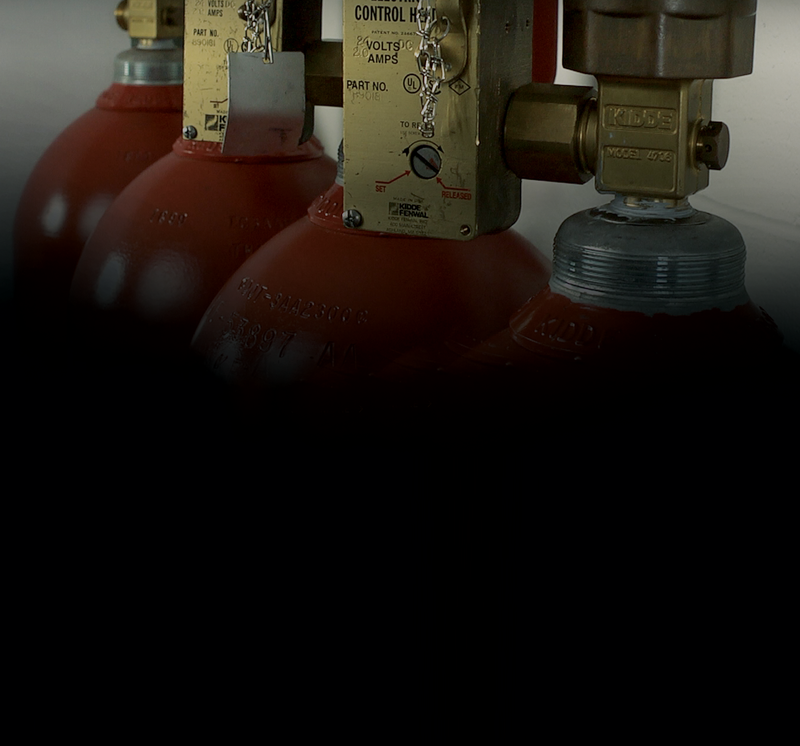 FM-200 is a fast-acting clean agent fire suppression gas with numerous benefits and applications. Dispensed as a colorless vapor that leaves no residue, Ecaro is a type of liquefied compressed gas. Stored in cylinders in its fluid form, Novec vaporizes upon discharge to flood protected spaces. Sapphire's custom-built, environmentally friendly designs boast a 0.0 ozone depletion potential. Safe for use in occupied spaces, argonite is a mixture of naturally-occurring nitrogen and argon. Inergen systems readily protect enclosed or populated areas where fires must be swiftly controlled. This must be used in total flooding applications where protected hazards or equipment are enclosed. In non-occupied spaces, this clean agent suppresses fire without damaging sensitive equipment. FE-13 is a high-pressure clean agent that leaves no residue when discharged in any situation. Prohibited decades ago, Halon systems should be replaced by more environmentally-friendly alternatives.